You'll attract more bees with honey than you will with $200k modern supercars. Or something like that. Today on TLM we've found one of the most eye catching cars of all time and it also happens to be one of the slowest. It just goes to show that having a unique car will always turn more heads than a fast one. 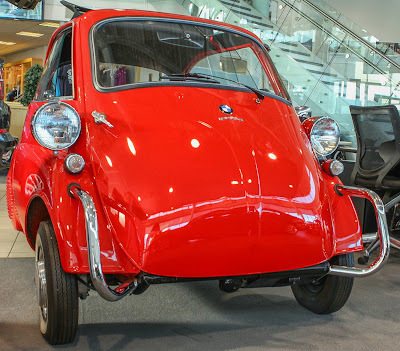 What is an Isetta and why does it look so happy to have your acquaintance? Let's find out! The bubblicious Isetta started off in 1953 as a tiny two-seater (Or ambitious three-seater) city car manufactured by the small Italian firm, Iso. 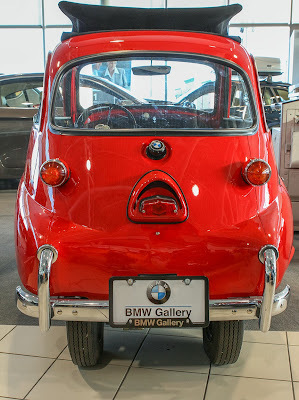 By 1956 BMW had licensed the design and was selling their own version now called the BMW Isetta. It was now powered with a 250cc single cylinder BMW engine producing a prodigious 12 horsepower. 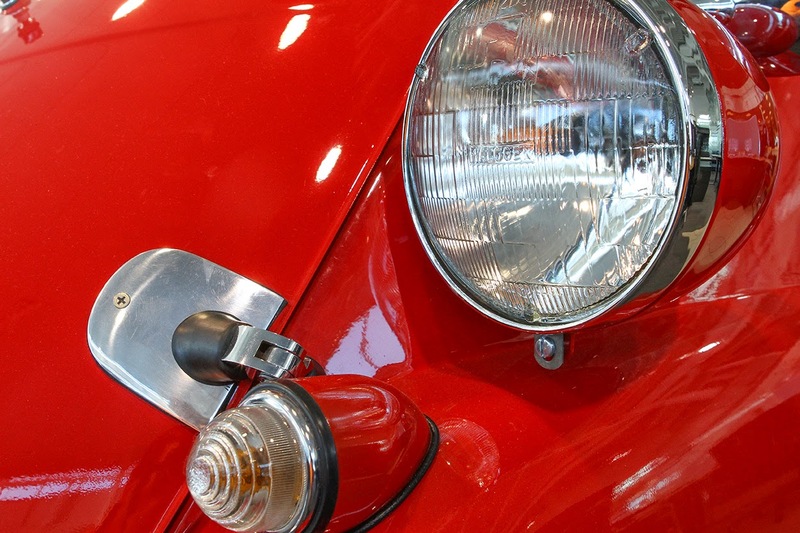 By the time our 1958 model was produced, they were powered by a 13 horsepower 300cc engine. Though limited by their feeble power output, their compact size and ease of use made the diminutive Isettas great city cars. 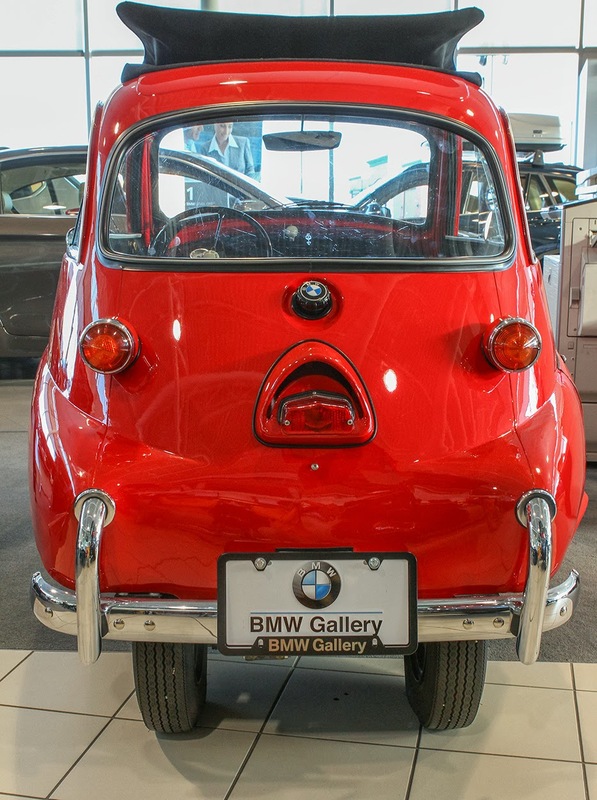 As long as you could avoid American freeways, the Isetta was a quirky and functional urban statement. And on modern city streets, few cars(Maybe a Fiat 500?) 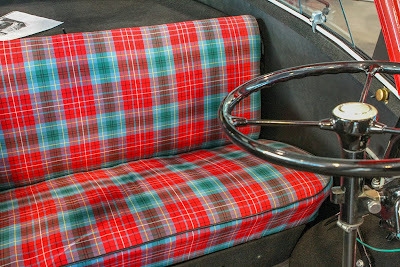 can match the Isetta for the adoring glances it draws from women. It's like a four wheeled puppy. 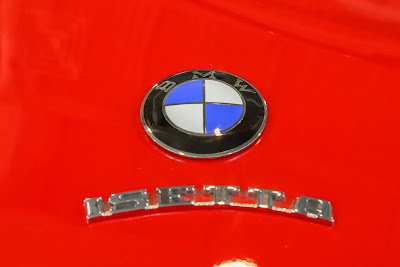 It's also interesting to think of the BMW Isetta as the spiritual predecessor to the Smart Fortwo aka 'The Smartcar.' Both are German designed, mid-engined, low powered two seat city cars that prioritize fuel economy and manoeuvrability over looks and highway tractability. Additionally, both were huge successes in the market for being niche vehicles with over 161,000 Isettas built during it's six year production span. If you've ever wondered what a 1958 Smartcar would look like; wonder no more. Unfortunately, there are hardly any street driven Isettas left in North America and the majority are show cars or displays like our featured car. Petrolicious did an excellent short film on an Isetta and it can be found here. Perhaps decades into the future when gas is $15 a gallon we might see a resurgence in popularity for these hyper-miling gas sippers.